The elite soldiers of Imperial Intelligence, Death Troopers are encased in specialized stormtrooper armor with a dark, ominous gleam. These soldiers serve as bodyguards and enforcers for Director Krennic, a highly placed officer within the Advanced Weapons Research division of the Empire. Straight out of the new Star Wars film Rogue One is a JAKKS 31" BIG FIGS Massive figures of the Death Trooper! Following the foundation of the Galactic Empire, a wayward band of Rebel fighters comes together to carry out a desperate mission: to steal the plans for the Death Star before it can be used to enforce the Emperor's rule. JAKKS Massive Scale 31" BIG FIGS make the perfect gift. 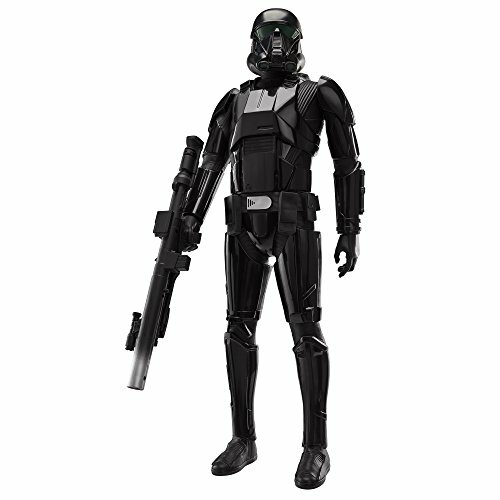 Celebrate the excitement and action of the new Star Wars film with JAKKS Rogue One Death Trooper 31" action figure! BIG FIGS 31" MASSIVE scale - at this price and size, this figure is the ultimate gift for any fan boy or girl! Play room and man cave ready! Straight from the Star Wars Universe comes the 31" C-3PO from Star Wars Episode 7: The Force Awakens. 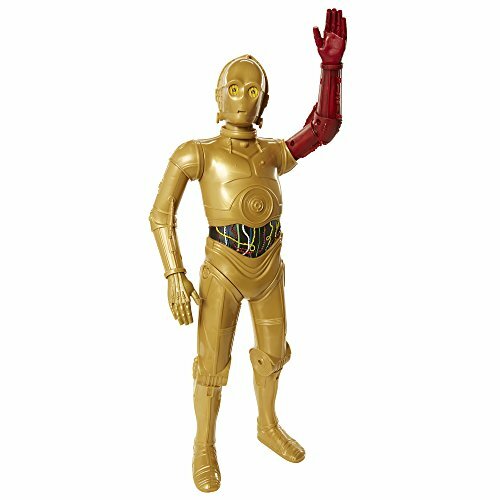 C-3PO dons his new red arm and has 7 points of articulation. This highly detailed figure stands 31" tall and is perfect for both kid and collector! JAKKS 31" Massive Scale BIG FIGS make the ideal gift!. WWE Seth Rollins Action Figure, 31"
These figures are the ultimate gift for any WWE fan! Play room and man cave ready, the hottest Superstars from the world of wrestling come to life! Straight from the WWE comes this massive Seth Rollins figure with 8 points of articulation including at the shoulders, elbows and wrists to recreate Seth's signature moves. Pose and play with this multiple time WWE World Heavyweight Championship titleholder like never before. This highly detailed figure stands 31" tall and is perfect for both kids and collectors! Recommended for ages 3+. Ripped from the new feature film from Warner Bros, Batman Vs Superman: Dawn of Justice, your favorite superhero comes to life as 31" BIG FIG Massive action figure. 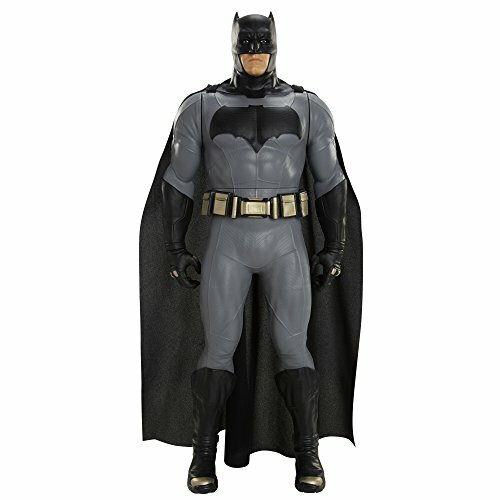 Batman stands as the ultimate show piece with his articulation and real fabric cape to bring to life all the action. This figure is highly detailed and will be a fan of child and collector alike. Perfect for the kid and the kid at heart, get yours today! For ages 3 and up. Based on Episode 3 Revenge of the Sith, Darth Vader comes alive in a 31" Giant Sized scale! 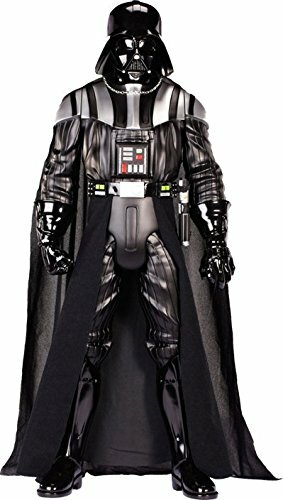 Darth Vader features 7 points of articulation, real fabric cape and measures over 2.5 feet tall! Perfect for any kid or collector! 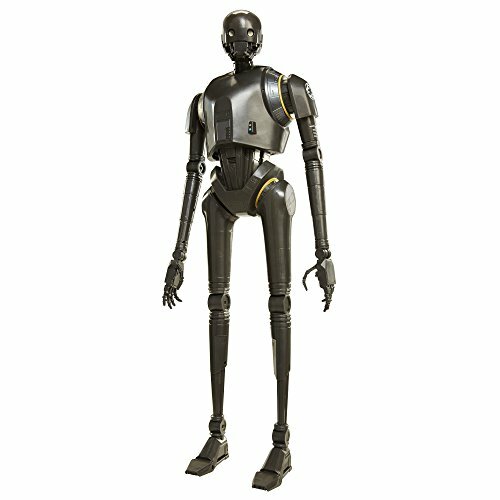 From a galaxy far away, your favorite Episode 7 droid comes to life from JAKKS Pacific. 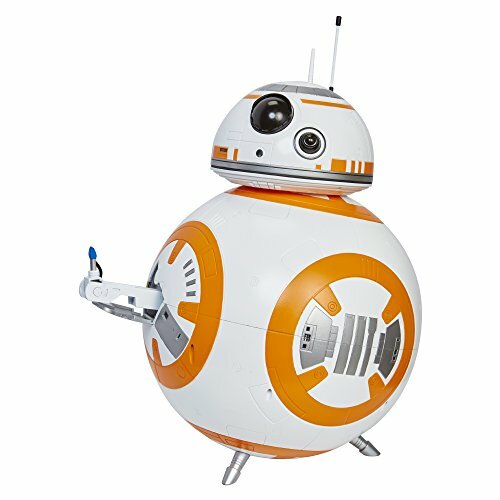 This BB-8 figure stands 18" tall (in scale to other 31" figures) and is highly detailed. He includes authentic lights and sounds and a spinning head dome. Open his hidden chest compartment to reveal his real working tech arm! BB-8 is the perfect addition for Star Wars fans of all ages. May the force be with you! Try me open tray package. For ages 3 and up. Star Wars BIG FIGS Massive Classic Yoda Action Figure (Scale: 31"), 20"
Straight out of the Star Wars universe comes the Jedi Master Yoda in scale with the JAKKS BIG FIGS Massive action figure line! 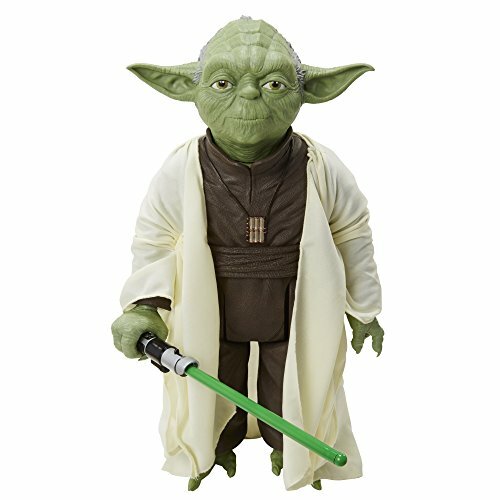 Standing 20" tall (in scale to other 31" Massive BIG FIGS), Yoda figure has five points of articulation for fully poseable action. Additionally this self exiled Master of the Force comes with a soft goods cloak and Jedi Lightsaber, perfect for taking on the evil Empire and training the next generation of Jedi to be. Collect all the JAKKS BIG FIG Star Wars Classic Action Figures! May the Force be with you!. A reprogrammed Imperial security droid now loyal to the Alliance, K-2S0 is an alarming sight standing within a secret Rebel base. The pragmatic droid is an effective insertion agent, as he can blend in perfectly at Imperial installations and outposts. Straight out of the new Star Wars film Rogue One is a JAKKS 31" BIG FIGS Massive figures of K-2SO! Following the foundation of the Galactic Empire, a wayward band of Rebel fighters comes together to carry out a desperate mission: to steal the plans for the Death Star before it can be used to enforce the Emperor's rule. JAKKS Massive Scale 31" BIG FIGS make the perfect gift. Celebrate the excitement and action of the new Star Wars film with JAKKS Rogue One K-2SO 31" action figure! The WWE Giant Size 31" Brock Lesnar Figure is truly perfect for kids and collectors alike! Sculpted with high detail, Brock Lesnar features 9 points of articulation and measures over 2.5 feet tall! Now you can replicate WWE superstar action. This video is about collection 31 inch Action figures. THE ROCK 31 Inch Figure VS GRIM! Backyard Wrestling TRAMPOLINE Match! WWE TOY FUN! Compare prices on 31 Inch Figure at ShoppinGent.com – use promo codes and coupons for best offers and deals. Start smart buying with ShoppinGent.com right now and choose your golden price on every purchase.